All our patients are screened for TMJ related problems before comprehensive treatment begins. Three areas of concern are addressed during our exam: muscles, the joint, and the occlusal relationships of your teeth. 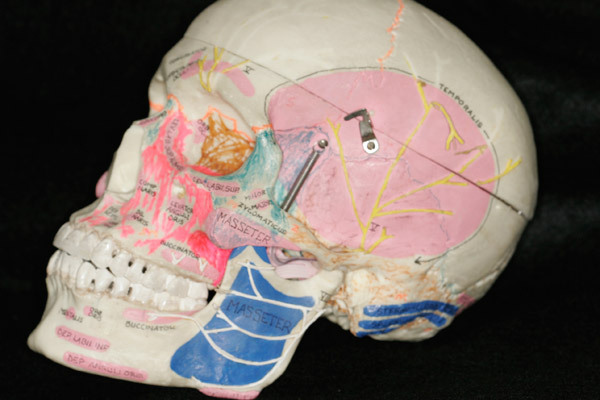 If any problems are discovered, a more specific comprehensive TMJ history and exam may be indicated. Our office examines, diagnosis, and gives appropriate treatment or referrals for all TMJ issues. Dr. Bill is a fellow of the American Academy of Head, Facial & Neck Pain and TMJ Orthopedics. He also lectured on Interpretation of MRI images of the Temporomandibular joint and was Director of the Westgate Craniomandibular Pain Center in Brockton, MA (1985-1995). TMJ diagnosis and treatment has always been a part of Dr. Bill’s treatment philosophy along with occlusal and cosmetic concerns during your rehabilitation.